Around the middle of June, something complicated happened with my main domain provider – the details are boring and intricate and whose fault it was is still a matter of dispute, but basically my entire personal-domained email account got summarily deleted. All gone – about 10 mailboxes – without any warning. Now, because I use a variety of domains and mailboxes, I didn’t actually realise at first. That might sounds strange, but I have everything routed through gmail in order to be able to access my mailbox in one central location at any time on any device, so even though it’s coming to a range of addresses it all gathers in one place. Some of my email – including anything sent to an @costaconnected.com address, incidentally – was fine. As was my generic gmail address which inevitably attracts a certain amount of spammy rubbish… so for a day or so over the weekend directly after it happened, all I knew was that my email was a bit quiet. In fact it made a nice change. Soon however I realised that something major was amiss, particularly as various online services that use email oauth log-ins started to ping messages at me when I visited their sites. The first one I dismissed as an error on that one site, but then it happened again, and the background alarms started to go off in my head, that I really needed to check this out – and, lo and behold, test messages sent to myself were bouncing around like a pile of dodgy cheques. Big time bad news. Of course I got straight on to my service provider’s helpline, and after hanging on the phone for in total several hours of my life, everything eventually got restored. It did take several days for all my mailbox contents to be resurrected, once the error had been identified, (and they are still admitting no fault whatsoever whilst plying me with freebies and updates for my inconvenience! ), and overall it was almost exactly a week before I had full control and access to my email domain and all the messages that had reached it before the crisis. Now, the more astute amongst my readers might have guessed that I regard myself as pretty heavily dependent on email. Life without email was… strange. 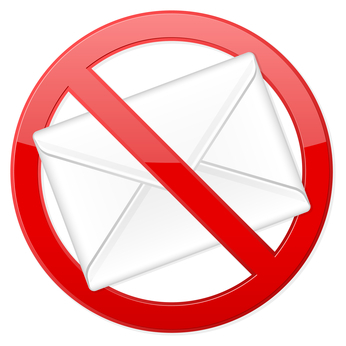 And there were several days when I not only had no email incoming, I had no access to my old or saved messages, nor could incoming messages be redirected (as the domain itself was mothballed for a time). I couldn’t even tell people exactly when they might successfully be able to start messaging me again! All decidedly weird and uncomfortable. I had to alter login details of various online services I needed to use, for which a valid and pingable email was required, and I eventually had to regenerate various alerts and documents I had missed. It really brought home to me how very much our lives or my life anyway – revolves around these little electronic messages we didn’t even have 20 years ago! It’s all sorted now, and the error in question I am assured cannot possibly recur, but I thought it was worth writing about just in terms of some thoughts and learning as a result of this email black hole in my life for a few days. Finally, it made me realise how much email was rubbish I didn’t even want to read. Whilst the reappearance of newsletters and circulars and updates from shops was at first welcome – hurrah, my spam is back, meaning all is well! – the relative peace and quiet and lack of alerts gave me something to aspire to once it all flooded back. Rather than just hitting delete on stuff I didn’t want to read, I tried to focus on it a bit more the week after and think – did I miss this one last week, honestly? Would I miss it ever? And if the answer was no, to take the time and extra click to unsubscribe altogether, rather than just delete it. My email free week was definitely an interesting learning experience, not one I care to repeat!